I have used 8 pairs in my life until these are useless and “how do boxing gloves last” subject is very relative. Also, it does not only depend on your glove’s quality. And in this content, you will find my experiences as well as my researches about the subject. And also there is a way for extending it. 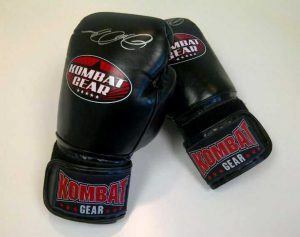 You definitely won’t throw your fastest punch during sparring or focus mitt training like punching bag session. However, does this mean that your pairs have less deformation? On the contrary, there will be constant friction, especially during pad work. And the leather of the pair should do the job. Otherwise, it will have rough edges and you will have to get a new pair pretty soon. Genuine leather (Cleto Reyes, Winning) is perfect for this type of training and you will definitely use it more than 2 years. 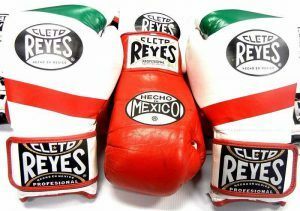 For example, I used Cleto Reyes Training Gloves for 3 years and it did not have any rough spots. If you are also looking for a durable pair to use it in all training types then you can have a look at these pairs for training. These will last and give you good punching experience for long years and you can do all training types. However, if you use cowhide leather, which is perfect for heavy bag, for focus mitts. It won’t be ideal. Cowhide is quality leather but it simply does not have the premium durability for constant leather deformations. When you get a pair exclusively for heavy bag, you should make sure that it will give a good workout. And most important aspect is the padding quality. It should deliver the impact of the punch quite well so bag can swing more and you can get all benefits including footwork. And there are some very good quality pairs for punching bag training. With that, you won’t find a heavy bag pair which can last for 3 years. The reason is not the leather. It is the padding quality. Modern bag gloves will lose its padding quality around 2 years. 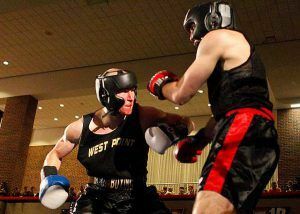 When you punch the bag with a glove, that same glove will face a huge impact just in a second. So the padding should come to the original state before the next punch. Otherwise, the padding’s quality will get lower and lower. Eventually, it will be useless. There are some brands like Venum, Title, Rival which produce some of their pairs with excellent quality leather, however, it does not give you the same durability of other brands like Cleto Reyes or Winning. Even though I trained with different pair types I did not have a clue about the subject so I researched it, read other reviews, looked boxing forums… And I saw one common point. It is the design of the pair. For example, Hayabusa pairs are produced according to a myriad of University research and these last a lot longer than its rivals which have the same materials of Hayabusa. Its design is simply superior. Als, brands generally don’t mess with the design. For example, Twins Special has two very good quality pairs on the market. The new model is exactly the same of old one. It just has more color and design selection. This is an extreme example however when a brand releases new gloves in the same category, it has only very little differences from the old version. So durability stays relatively the same. For example, lots of Cleto Reyes pairs will last around three years and lots of Title boxing gloves will last around two. Lots of pairs get rough spots with time. If you also be careful about the conditioning of leather, you can avoid this situation and gloves can last even more. Keep in mind that you should do the conditioning only with pairs which have genuine leather. If your pair’s cover material is synthetic leather, vinyl or any other type then don’t do it. It can make your pairs stiff and pairs last less than they normally do. Conditioning of leather boxing gloves can be done with essential oils and these can also help with the smell. If you want to know best and common methods for cleaning any glove type and getting rid of the smell ( I also use one of these and extremely satisfied with results), go to this post. You can also find some alternative methods as well. Note: Even though it is difficult to remember airing the pair after every session, it will also help getting rid of smell and bacteria. Some pairs have very quality leather and design. These pairs can even last 3-4 years. Obviously training type and padding quality will affect your glove’s durability too. For example, there is no reason for your sparring gloves to have good padding quality (it just needs quantity), its leather will have much more deformation so leather should have outstanding quality. In this way, it can last more. You can also extend the durability with cleaning and conditioning your pair. Other than these if you will get a new pair, which you do not have enough info about its durability, you can check out that brand’s other pairs’ reviews and have an idea about it. I hope the content answered all of your questions. However, if you have any more questions related to “how long do boxing gloves last” topic or any experiences about it, please leave a comment below. I have a nephew, 13yrs old, who is starting a boxing class and I have been looking for information for the best types of glove to get him for his training. On this page, I have the answers to all my questions, I was worried about him damaging his hands but am reassured that a good quality glove will protect him. However, if you have any suggestions for boxing gloves for a 13yr old it would be very helpful in making my choice. That is good I love when children start boxing 😉 It is truly amazing for their body and mind as well. You can have a look at children’s boxing gloves. It would be a great choice for him and he can do all boxing training types as well. I come from the old school days when we used big huge Everlast boxing gloves so this is new some useful information on new types of training equipment. I like the write up on conditioning your gloves especially. Well written post and informative! I think all people, who train for boxing, used Everlast and I also used a big Everlast pair 🙂 Conditioning can really increase the durability of pairs if you have leather ones. You are welcome Dave.